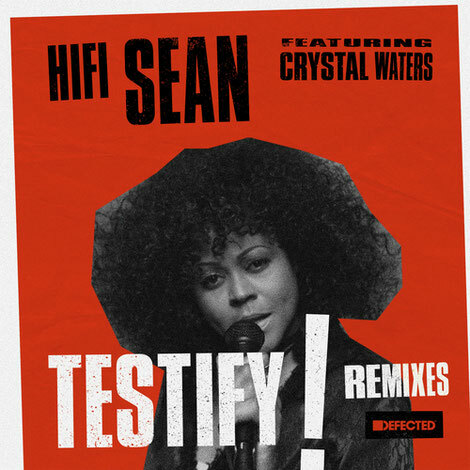 Part gospel track, part house workout, ‘Testify’ was originally released in November 2016 on Sean’s own imprint Plastique Recordings. It grew and hooked fans organically, making the playlist at BBC Radio 2 and taking on a life of its own. 2017 sees this new package that includes a generous helping of remixes. Sandy Rivera works in a house beat to transform the track into a possible club banger, providing both a vocal mix and a dub. Swedish producer OPOLOPO’s jazzed-out mix gives instrumental breaks and explores the silkiness of Crystal’s voice, while Tom Stephan aka Superchumbo introduces a Latin flavour into his version with syncopated drum work and a beefed up bassline that takes the original’s gospel elements up a few gears. Finally to complete the package is an Original Extended version, with two bonus minutes of the uplifting instrumental bridge plus a squelchy ‘Body’ edit from Classic boss Luke Solomon and a driving ‘Vocal Mix’ from Rhythm Masters. It’s out 21 July on Defected Records.